Eat, Drink, & Save a Heritage! 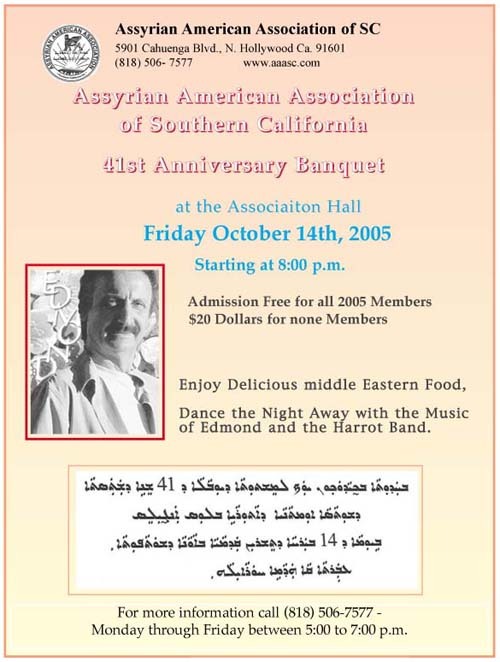 A few years ago, along with another Assyrian friend, I attended a fundraiser in Los Angeles. This was not an Assyrian event. All 600 attendees were holding their $200 dollar tickets in one hand and a drink purchased from an open bar in the lobby of a downtown LA hotel in the other, when the giant doors to the reception hall slowly unlocked. There I was standing before a beautifully decorated ballroom, dazzling in colors. I was quite hungry and prepared to have my dinner and discuss politics with friends. What followed left a lasting impression on me. The Master of Ceremony walked to the podium and after reading a poem in his native tongue – which I did not understand – asked everyone to make their “heartfelt” contribution for the evening before the start of the program. In an amazingly synchronous manner every guest reached for the red, blue, and orange dinner plates before them, lifted them at the same time, and then turned them upside. Then they gently placed the plates on the table and began singing their national anthem. There was to be no dinner, no drinks, no desserts that night. Each guest asked that no amount of their contribution be spent on food. All proceeds, including three hundred thousand dollars raised in an auction, went to the beneficiaries. I left Los Angeles that evening hungry and overcome with emotions. Over half a million dollars were raised that evening and most of the money came from the ordinary people like myself. On the way home I reflected upon the sense of duty I saw on the faces of every guest. Their attendance was as solemn as the unquestionable walk toward the wine and bread one is taught from childhood to partake during the Mass. I left the fundraiser a changed man. We pass through a great deal of what I call “noise” in the ever-expanding space of our conversations these days – from the name issue to the anti-unity activities, and campaigns against this individual, that bishop, and those politicians. In the midst of this spectacular nonsense, we conveniently disregard the reason behind our activisms, thoughtless arguments, and sometimes noble deeds. We forget about our people in Bet-Nahrain. In less than a month my wife and I will be attending a fundraiser in San Francisco. Zinda Magazine has been a sponsor of this event since its inception and I have had much to say about it in this same column before. This year I will not say anything about the fundraiser, even though I believe it will be the most exciting and informative one to date. Instead I will talk about the people who will be permanently impacted by the funds which will be raised on November 4 at Narsai’s Taste of Mediterranean. Every day in Syria, Iraq, Iran, Turkey, & Jordan, the inheritance of many millennia is lost forever. With every single child forced to spend another day away from school, while leaving their towns and villages and aimlessly wandering in the refugee camps of Jordan and Syria or the war-torn areas of today’s Iraq we squander a generation of activists, experts, and concerned Assyrians. Unless we act swiftly the vast archives of our knowledge, stored in the memories of our elders, mothers, farmers, and fighters will be spilled into oblivion. As more Assyrian families leave our homeland and become absorbed into the western lifestyles, there will be less interest in the documentation of our knowledge and our past. While none of us has the right to prevent our fellow Assyrians from the same opportunities we enjoy in the west, we also have a duty to assist them in these dire conditions to continue should they wish to remain in our ancestral lands. Let us not fool ourselves by thinking that the New Assyria will ever be resurrected in the west. Our purpose in the diaspora has always been and will forever remain the same – to support and rebuild the infrastructure currently in place in the homeland. Many may feel that freedom was the greatest gift bestowed upon the Assyrians when Saddam Hussein’s hands were put off limits in the North. It was indeed the opportunity to educate thousands of Assyrian students that helped galvanize our nation in the diaspora and elevate a small political group to an administrative structure. There are many reasons to donate to the Assyrian Aid Society chapters in your community – the irrigation and agricultural projects, jobs for women and childcare for the little ones, and to give a helping hand to the families affected by unemployment due to war and insurgencies. We see the reports every month in our Washington office and we are quite impressed with how much is being done with so little. But there is one very significant reason – dearest to my heart which I like to share with you this week. Nothing brings greater joy and often tears to my eyes than the sight of a little Assyrian boy or girl reading a difficult technical text in the Assyrian language. That in itself is a miracle which none of us could imagine a decade ago. Today there are hundreds of Assyrian students who have excelled in the accumulation of a wide range of topics in the Assyrian language, as a result the most pressing challenge facing the instructors in north Iraq is the lack of advanced material for these scholars' thirst for greater knowledge. Assyrian students study biology, chemistry, history, literature, and even geography in Arabic, English, and Assyrian. I never forget the experience of hearing a complex chemical formula read in the Assyrian language. How about the quadratic formula explained in "Sureth" or the microeconomy of Finland described in the language of Christ? I have always believed that when given an opportunity and a just cause Assyrians empty their pockets and even savings like no other. Today there is no better way to help our brothers and sisters in Iraq and their fleeing families in Jordan and Syria than to give toward the reconstruction and the educational projects currently underway in Iraq. At press time, there are 51 Assyrian Primary Schools where 4,845 Assyrian students study within an Assyrian (Syriac) curriculum. Compare this to only three schools in America and Australia. There are also 16 secondary/high schools where 2,151 students continue their education prior to entering local universities. The pace of change is startling in the homeland. Every one of these seven thousand ambitious young students could be our next David Perley, William Daniel, Dr. Freidoun Atouraya, and Naom Faiq. These sparks (zindas) of our hope should be well-fed, well-educated, and then provided with meaningful jobs so that they will not be forced to leave Iraq and escape to the Syrian and Jordanian refugee black holes. Ignore the condescending comments heard on certain television programs or printed on the Internet forums. These school children are real, their hundreds of teachers are real people too, and every classroom requires heating, school supplies, snacks, and healthy students. Some of us are working diligently in Washington to interrupt the transfer of funds from the U.S. government sources to the Kurdish groups which in turn replenish Kurdish reserves in the name of Christian Kurdish funds. But the progress is slow and Washington prefers Dawood the pishmarga over little 8-year-old Ashourina in Shaqlawa. And Ashoorina cannot wait until the next set of Congressional hearings and budget revisions. Needless to say our help is needed now. Narsai David successfully changed the attitudes of many of us when he introduced his unique idea of raising funds for the needy in Iraq and elsewhere. 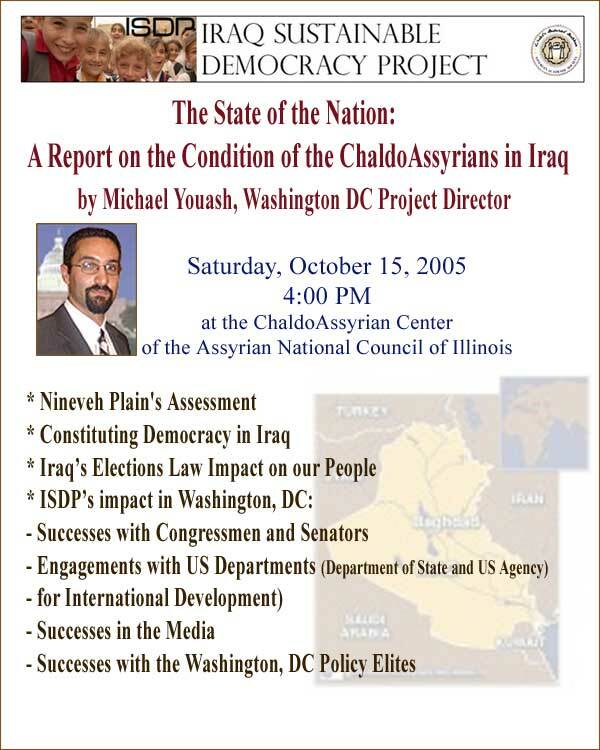 He is the president of the Assyrian Aid Society of America and a food and wine critique for syndicated radio and television shows. His delicacies are sold at Macy’s and his food columns appear in various newspapers. Somehow, every November for the last 4 years, Mr. David has managed to find time to assemble the brightest minds in the magical art of culinary pleasures and offer his fellow AAS donors some of the most sumptuous gastronomic delights in a city known for its restaurants. I assure Mr. David’s guests that no one will be asked to turn over their dinner plates on November 4th and everyone will be treated to a lavish menu of food and wine. As a sponsor of this event, every year Zinda Magazine invites Assyrian students to join in and meet some of the local dignitaries that partake in this important event. If you are an Assyrian high school and university student, please contact me directly today so someone in our office can arrange for your reserved seat. As a student you can enjoy a superb dinner and know that your money will benefit another Assyrian student in Iraq. See the ad in this issue for more information. As for the rest of us, let us look past our political, religious, and ethnic differences and attend this event for the sake of our children in our homeland. With the price of a single ticket a student can be fed, provided transportation, and supplied with books and writing material for an entire academic year. You experience the best that San Francisco’s renowned chefs can offer, and an Assyrian student will continue to accumulate the knowledge none of us will ever be able to amass on this hemisphere. Not a bad deal. And for those thousands of readers unable to attend this event, please contact your local Assyrian Aid Society chapter this week and send them a check. Tell them Zinda asked you! Wait…tell them it was Ashourina who asked you to send your donation. If we show more respect for the volunteers working to improve the quality of life for Assyrians in the Middle East and recognize that communities must decide for themselves what to do with their future, we can effectively begin to step forward and slowdown the slide toward oblivion. Join me, Zinda Magazine, and hundreds of others on November 4th and make a difference in the life of an Assyrian student in Iraq and a generation not yet born. Please call 510-527-9997 or click here to purchase your ticket today. Fairfield City Museum & Gallery Presents: "From Mosul to Fairfield"
Earth slips out of small hands; grandmother gathers the particles and hands them back to the child, to mix the earth with sacred water and make her ancestors, then firmly place them on the earth. This exhibition is an illustration of history with art and art presented in a historic setting, where the deep-dyed colours in the hand-woven Assyrian tribal garments are brought together with the latest technology to signify the strength and survival of a small nation that traces its roots to the ancient Mesopotamian civilization. For the Assyrian Diaspora as they stand shoulder to shoulder during Khigga (traditional Assyrian circular dance), the space within the circle is a powerful space where longing for home/land is transformed into oneness with the earth and with one another. Today’s Assyrians trace their origins to Mesopotamia (now eastern Syria and Iraq) known as the Fertile Crescent, which stretched along the Euphrates and Tigris rivers. Assyrians have endured countless persecutions and massacres. The most traumatic of these was during the World War I when 750,000 Assyrians lost their lives in massacres and deportations that virtually exterminated entire villages and emptied whole regions. Fearing complete annihilation as an ethnic and religious minority, the Assyrians allied with the Western powers in three major wars, World War I, Gulf War as well as the recent Coalition War and were forgotten upon completion of these military campaigns. Large portions of the Assyrian culture are slowly vanishing due to dispossession of traditional land commencing with the tragic impact of World War I on the small Assyrian nation who had survived and preserved its cultural identity for over twenty-five centuries. The contemporary Assyrian culture is rarely researched, documented and revealed. The Assyrian people hold Assyrian collections, in silence and isolation and these treasures are often lost due to repeated displacements. "From Mosul to Fairfield" provided an opportunity for locating and documenting some of the traditional tribal garments and objects, stories as well as dance forms and music. These multi media installations present an Assyrian traditional art form and history that reflect the history of human life and art, illuminating the unchanging human instinct toward community, culture and art. Prior to walking an Assyrian child held in the arms of a dancing kin learns Khigga. Khigga is the traditional circular dance performed by every Assyrian. Visually it resembles a human spiral wall and symbolically it represents strength and unity. One can say that this form of Assyrian cultural expression is practiced from cradle to grave. Khigga has many forms, meanings and variations according to geographical, regional and tribal locations. It is one of, if not the only Assyrian art form, the roots of which can be traced to antiquity. foot. With each beat, they touch or step on the ground beneath them, affirming again and again that where they stand, in the body and in the present moment, is home. For the Assyrian Diaspora the space within the Khigga circle is a powerful space where longing for home/land is transformed into oneness with the earth and with one another. Khigga allows the participants to hold hands and touch shoulders establishing a strong link among dancers as they move in a circular motion. The energy transferred from one dancer to the next becomes collective energy, multiplying with Khigga’s progression, giving the participants a sense of oneness. Khigga dancers spiritually connect to one another and with the earth beneath their feet and may experience trance. This transformational moment for dancers is when collective unconscious is experienced. The circle of dancers and their contact with earth resembles trees gracefully swaying with the wind as their intertwined roots are deeply planted in the earth. "From Mosul to Fairfield" brought younger Assyrians and the elders together to share and care as they exchanged old and new traditions. Use of Khigga as a physical, metaphoric and symbolic element provided a potential space for the artists and participants to exchange cultural expressions, allowing transformation of traditional art into conceptual and contemporary forms. Thanks to the Assyrian community members for their participation in "From Mosul to Fairfield", especially the Assyrian elders for their valuable contributions. From "Mosul to Fairfield" events were funded by; The NSW Ministry for the Arts, Fairfield City Museum and Gallery and supported by; The Assyrian Federation of Australia, The Assyrian Australian Association, Liverpool Migrant Resource Centre, The Nasibin Assyrian Language School, Fairfield Health Service, Retravision and Neeta City Shopping Centre in Fairfield. (ZNDA: Amman) Raymond Mousalli, Chaldean Catholic Patriarchal Vicar in Jordan, said, "The majority of the members of the sect temporarily reside here, hoping for receiving an immigration visa to a third country." He pointed out, "The Jordanian authorities grant them a three-month temporary residence and does not allow them for work or receiving education at the less expensive governmental schools." He noted that the majority of Chaldeans rely on money transfers on behalf of their relatives abroad, or their personal savings for securing their daily needs. Iraqis, who are temporarily residing in Jordan, are forced to renew their residence through leaving the country and then returning, to avoid paying monetary fines, which are imposed on them, in case they exceed the duration of their legal residence. A Chaldean, who is a father of 8 children and arrived in Jordan last year, said, "The American embassy has severely rejected my application for joining two of my children there. My savings are almost over and I do not know what I shall do then or how I would support my family." Requesting animosity, he added, "I have fled from Baghdad with the members of my family for fear of death. My store in Al Dawra has been exposed to bombardment three times. It was not safe for us to stay there." Dereid, 28 years, who arrived in Amman 8 months ago, said, "I married an American girl, whom I have known through the internet, several months ago. I applied for immigration to the United States, hoping to join her there." Dereid mainly relies on the money transfers sent on behalf of his family in the United States, where there is the biggest Iraqi Chaldean community abroad. 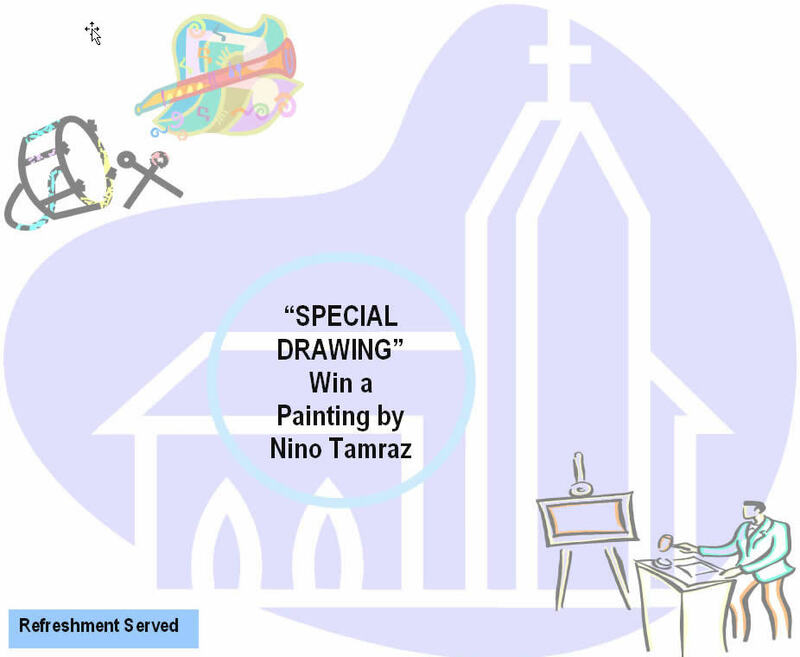 At the beginning, Om Yasser, a volunteer in the church, believed that her residence in Amman would be for a few months. Nevertheless, she was not lucky enough, after spending more than 4 years in Jordan. Om Yasser said, "I and my two children are waiting for my husband to obtain residence in Sweden, to be able to join him there. I haven't seen him since he went there. He is sending us money for supporting us during our residence here. Yet, life is getting harder and every month we have a burden of the rent of the apartment sheltering us." Most Iraqis coming to Jordan on a temporary basis prefer residing in popular district in the capital, where the rent is low, in addition to easy movement and access to foreign embassies. Another woman, who headed to Amman preparing for the wedding of her son to one of her relatives that arrived from Iraq, said, "The hardest thing Iraqis face is obtaining permanent residence in another country. Until this is achieved, our life remains postponed." 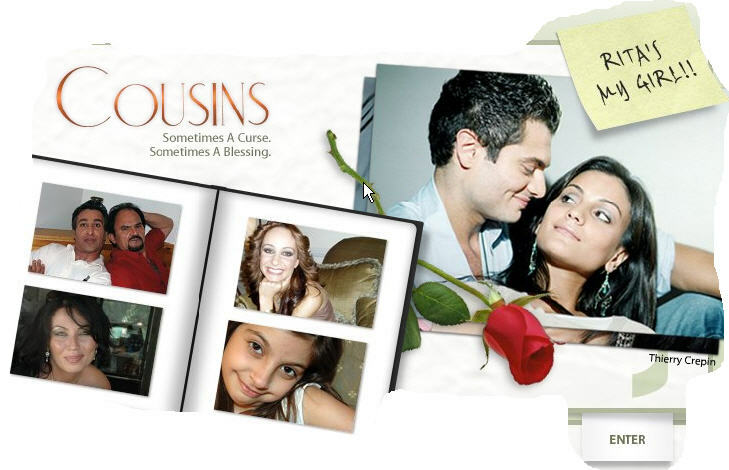 Mousalli estimates the number of Iraqi Chaldeans in Jordan by approximately 7000 persons. "But this number continuously changes, as many of them receive immigration visas and others arrive", he said. "The number of Iraqi Chaldeans, who leave Iraq due to the aggravation of violence, has lately increased. More than 2000 Chaldeans have arrived in Jordan, since the explosions that targeted Christian churches in Iraq in 2004", he added. It is worth mentioning that the Christian churches in Baghdad and Al Musel have been subject to explosions between October and December of last year, in which at least 13 persons were murdered and more than 100 injured. The Chaldean church is attempting to assist the sect members in adaptation and leading a normal life, to a certain extent, in Jordan, while waiting for receiving immigration visas. In this regard, Mousalli says, "We hold English language, mathematics, religion and computer courses, so that students can keep up with the study, which they are deprived from, while waiting for the immigration applications." The members of the sect regularly attend weekly masses in the church in the popular Jabal Al Lowaybedah region in Amman, as prayers keep the person connected to God and assist him to bear the hardships of life, according to Mousalli. The patriarch deputy conducts marriage, baptism, first communion rituals for Iraqis, who came especially for this purpose, "as the security conditions does not allow for conducting them in Iraq." The number of Christians, who did not leave Iraq, is estimated by approximately 800 thousand persons, mainly Chaldeans. They live amidst 26 million residents, according to the Chaldean patriarch Immanuel Deli. The number of the church followers is approximately 2.1 million persons, including 600 thousand in Iraq. Dereid, who is sharing an apartment with two Iraqi young men in the center of Amman, confirmed that he did not feel any "discrimination in treatment in Jordan. As an Iraqi, I do not sense any discrimination in the places I go to. 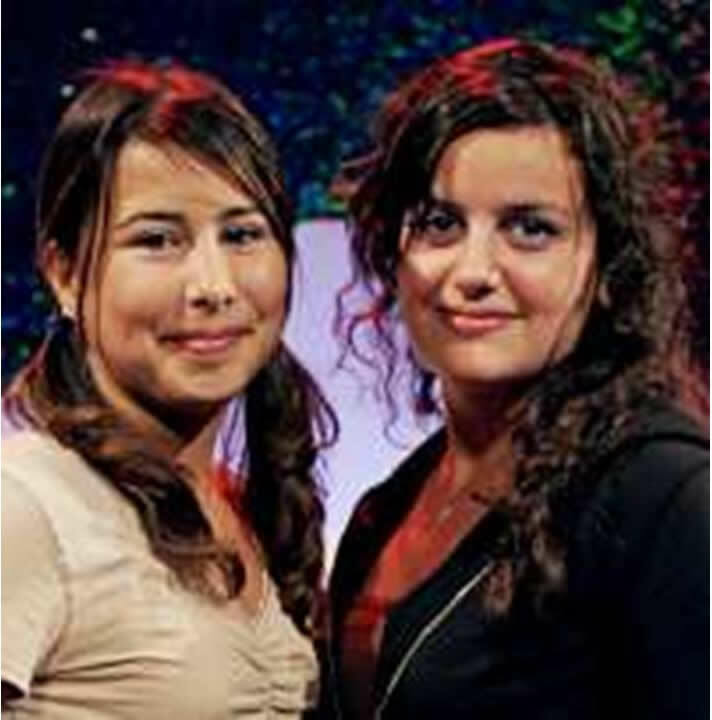 (ZNDA: Stockholm) Last Friday two Assyrian girls, Maria Chabo and Maria Josefson, both 15, won the national singing competition in Sweden called Lilla Melodifestivalen. The two "Marias" performed a Swedish song "Gränslös kärlek” (Endless Love) on the national television SVT 2. Looking cool and colorful on stage, the members of the band "M+" - perhaps in reference to the two similar first names, received support from the Assyrian callers who helped vote for their favorite contestants. However, just as in the "adult" version of Melodifestivalen this year, the jury vote outweighed the viewers choice in the televoting. The winner of the televote ended up finishing in third place. The jury selected M+ for all-around performance. M+ will represent Sweden in the upcoming Junior Eurovision Song Contest in Hasselt, Belgium in November. This year, Lilla Melodifestivalen offered the audience a great variety of musical styles starting from a piano ballad followed by pop, disco and even latino inspired songs. 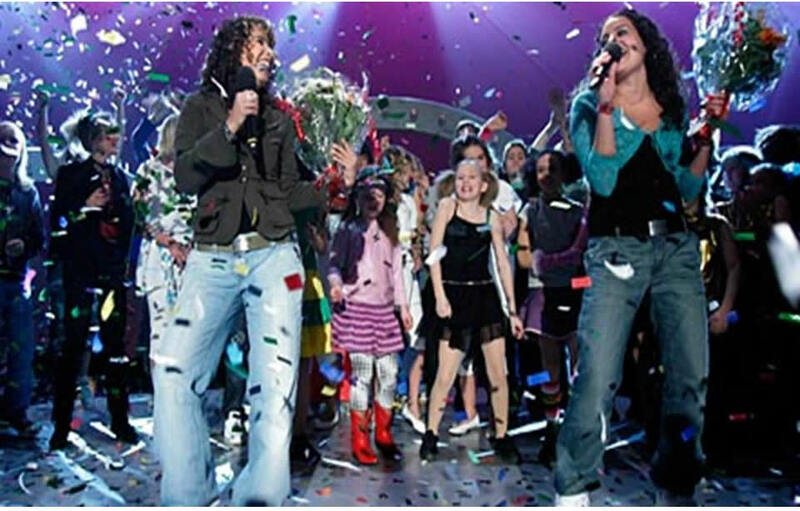 1400 songs were sent in to compete for the chance to represent Sweden at Junior Eurovision Song Contest 2005. Only 10 entries made their way to the final. The winner was selected by adding the results of the vote of the jury members from 5 different regions in Sweden (North, Middle, East, West and South) as well as the televote. Regional jury groups announced their favourites by giving them 4, 6, 8, 10 and 12 points, but the rest of the songs received 2 points each. The television votes from viewers carried 10 points and then 20, 30, 40, 50 up to 60 points. More than 197,000 votes were cast from the television audience, a remarkable participation for a national selection for Junior entry. Maria Josefson and Maria Chabo were born in Sweden. M+ performing their winning song, Endless Love, on Sweden's national television. (ZNDA: Stockholm) On Monday, October 24, SVT will air the first segment in a five-part documentary chronicling the Swedish premier league football team Assyriska. Viewers will bask in a unique opportunity to tag along with the team during its first year in Sweden’s elite league, both on and off the pitch. Assyriska is, to be sure, much more than a football club. It’s also a unifying symbol for Assyrians around the world. The club is a national team for a people without a nation to call their own. The documentary portrays Assyriska’s bid to remain in Sweden’s top-flight league, as well as the struggle for minority rights in the Middle East. For global politics and diplomacy are as natural to Assyriska as selling season tickets and practicing in dreary weather. We meet the team’s supporters, monks in remote monasteries in the mountains of Turkey, militiamen in Iraq and residents of the Stockholm suburb Södertälje. The first episode opens in winter-worn Södertälje. The team has no coach, alarmingly scant funds and an arena that doesn’t meet code requirements for premier league matches. The other teams have long begun their preparations for the coming season when Assyriska’s new coach arrives on the January night when a hurricane makes landfall in Sweden. Portugal’s José Morais is the man who, against all odds, has been tasked with preparing the team for league play. Viewers get the story behind the minute of silence at the match against Halmstad, the demonstration that sparked controversy in Turkish domestic politics and which sent the Swedish Football Association through the roof. The documentary series also explains the connection between Swedish football and the kidnapping in Iraq of Swedish citizen Minas al-Yousifi. The series was created by Erik Sandberg and Nuri Kino and produced by Laika Film & Television AB for Sveriges Television. To learn more about this extraordinary Assyrian team in Sweden visit the official website of Assyriska produced in Swedish, English, and German language (click here). To add an Assyriska 'background' to your PC's desktop as wallpaper - a requirement for all PCs in Zinda offices - (click here). Zinda Magazine is a proud supporter of Assyriska and its worldwide fans. Report compiled for Zinda Magazine by Mr. Submitted by Emmanuel Kanna in Australia. All games were played at the Nineveh Club’s Soccer Field over two weekends and the Cup this year was sponsored jointly by the Nineveh Sports and Community Club and the Assyrian Sports and Cultural Club. Unable to attend this year were teams from Melbourne and New Zealand. Altogether 250 player participated in the event. Assyrian Sports and Cultural Club. After the elimination rounds four teams reached the semi-Finals playing on Monday 3 October and the Final was played under the Flood Lights the same day. In the first Semi-final Cultural Club defeated Edensor United 2- 0 and in the second Semi-final Western Sydney Lions defeated Southern Eagles by 2- 0. The final between Western Sydney Lions and Cultural Club was spectacular and a crowd pleaser event with both teams boasting highly skilled and quality players who play in the highest divisions in the State of New South Wales such as the Super League and the Premier League. In the W Sydney Lions we had players such as Jan Darmo, Adnan Odisho, Neil Moushie and Ashley Askaroo. For the Cultural club we had Elcid Barkhosir, Zaya Younan, Ninos Bobo and Samir Isa. The winning team Cultural Club together with Daryawosh Shleemon celebrating. Both teams played to their potential with cultural club taking advantage of their chances where the W S Lions missed quite a few chances. At the end of the final Cultural Club were victorious by 3 – 1. Congratulations to Cultural Club as the Assyrian Cup Champions for 2005. Many thanks to all the players, Officials, sponsors , supporters and the organising committee led by Sargon Makko for making the 2005 Assyrian Cup a memorable and a successful sporting event. The official opening was made in thee presence of all players by the well known player Zia Shawel and at the end of the competition the Cup and the trophies were presented to the finalists by Johnson Esho and Daryawosh Shleemon, the two respective presidents of Nineveh and Cultutral Clubs. It's a bold step that after so many years, we witness the birth of a new Assyrian institution in the region that was the home base of the finest Assyrian minds in Diaspora. Through this letter I wish to congratulate the Diyarbakir TurAbdin Assyrian Association in New York/New Jersey with its establishment. With the spirit of the Beth-Nahreen (Mesopotamia) magazine of Naum Faiq, the Taw Meem Simkat (T.M.S or the Assyrian National School Association) school and the speeches of Dr David Perley ... we hope to see more shining stars born out of the the Diyarbakir TurAbdin Assyrian Association. I read the article “Chaldeans, Assyrians, Syrians” written by Masoud Barazani and submitted to Zinda magazine by Nenif Matran Hariri with apprehension and great dismay. The article is nothing but a KDP propaganda ploy to diminish any claims to the rights of the Assyrians in their ancestral homeland of Northern Iraq. The propaganda begins with the title of the article where three separate entities are created, which by the way, Kurds succeeded in doing. Misleading statistics and number of the Assyrian people are presented as 1.1% which is fabricated to justify the one seat we hold in the Iraqi parliament. Mr. Barazani knows very well that the Assyrians of Iraq (all church denominations) make up about one million. He failed to mention that over 200,000 Assyrians in the plains of Nineveh and the northern region were prevented from voting in the last election by his very own KDP. He also failed to acknowledge the fact that Assyrians living in the northern No-Fly-Zone were cleansed from 240,000 in 1991 to around 45,000 today, again by his very own KDP. He is also smearing the Assyrian Aid Society North-Iraq and the Assyrian Democratic Movement by his inflammatory claim that “not a single penny of their donations since 1991 has ever reached the people here.” Mr. Barazani ignored to mention the many projects that were financed by the Assyrians in Diaspora. Finally, one senses in his article that Barazani is threatening the Assyrians by claiming that our future and destiny lies in his hands- either we comply with KDP’s orders or else. For over 5,000 years, we Assyrians have lived in our homeland and leavened its earth with our dead. Now we are treated like guests who should be thankful for the usurpers of our own lands. I am one of many Assyrians who enjoys reading Zinda magazine. I believe that it is the best Assyrian magazine out there. I also respect that it is fair and balanced to different opinions. But in this week's issue, I happend to read an article in it by Ninef Matran Hariri. I could have expected such an article from a Kurdish puppet. But I didn't expect that garbage of such magnitude would be allowed in Zinda? I'm still amazed at how such Kurdish propaganda would be allowed in Zinda? Zinda should be fair and balanced to Assyrians, not Kurdish puppets. I do expect a reply on this matter. Mr. Ninef Matran Hariri is employed by the Kurdistan Democratic Party and believes in the establishment of a Kurdish state where Assyrians can co-habitate with the Kurds and Turkomen as Kurdish citizens. Zinda Magazine may not agree with Mr. Hariri's views, but it allows equal opportunity for all Assyrians to express their political views. Mr. Hariri's views are nevertheless supported by a growing number of Assyrians in the highest leadership positions in and outside of Iraq. This, we believe, should be of more concern to our readership. It gives me a great pleasure and an honour to celebrate with you the good news that I received from my first cousin Dr. Ronald Shimmon from Sydney, Australia. On september 29, 2005, Ronald was awarded a Ph.D. degree with distinction in Bio-Organic Chemistry from University of Technology Sydney, Department of Chemistry & Materials & Forensic Sciences at New South Wales, Sydney, Australia. Dr. Shimmon was born in Habbaniya, Iraq, the son of late Mr. Gebrael Shimmon and Laya Shimmon (currently living in Sydney). Ronald, Received his B.Sc. and M.Sc. Degrees in Bio-Organic Chemistry from University of Baghdad, Department of Chemistry. 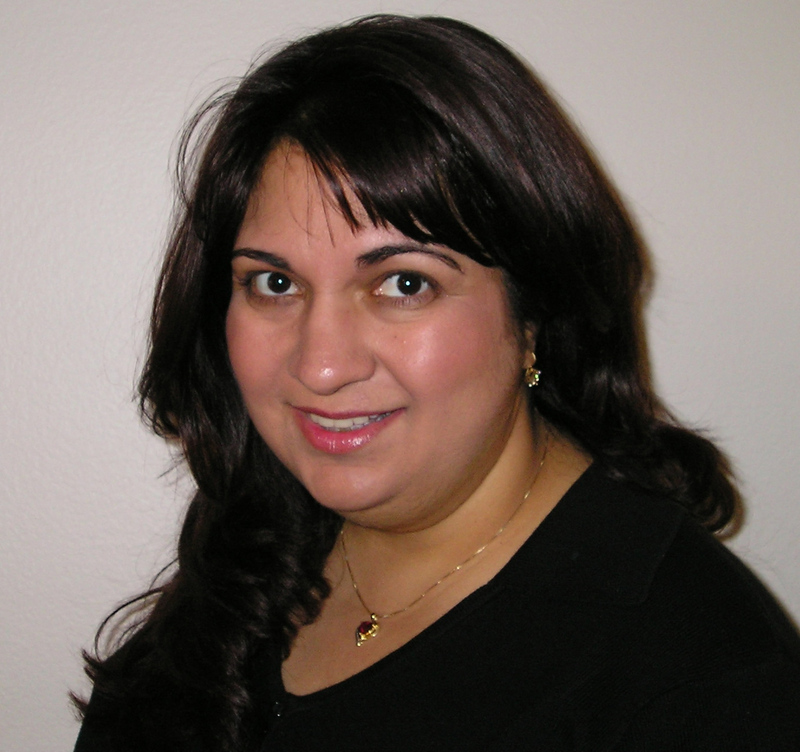 Currently, Dr. Shimmon is working as a Research Scientist at the University Technology Sydney, Department Chemistry & Materials & Forensic Sciences. Rony (my dearest first cousin), you make us all proud with this great achievement. Your late Father (my beloved uncle) is looking down on you now with a big smile on his face and telling you: Son job very well done!!. Chebo aziza Ron!! Mr. Simon Francis Shamoun is a research scientist at the Canadian Forest Service and an adjunct professor at the University of British Columbia, Vancouver, British Columbia. 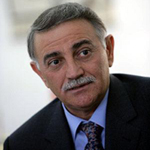 Mr. Yonadam Kanna, the head of the National Commission for the Reconstruction and the Public Service (in the Iraqi National Assembly) and a member of the Draft Committee of the Iraqi Constitution for the National Assembly, and the Secretary General of the Assyrian Democratic Movement, and a former member of the Interim Iraqi government, arrives in France on Thursday, 13 October and will remain until 20 October 2005. Mr. Kanna will be discussing the strengths and weaknesses as well as the difficult process of drafting this document, one that does not seem to convince the minority Christian groups and the Sunni's. Mr. Kanna will equally treat the thorny question of the place of religion in the constitution that will govern the functions of the new Iraq. Does the new constitution respect the rights and basic liberties of the different ethnic and religious groups? The territorial division of raq? To which future must we expect this country to be headed after October 15th? Mr. Yonadam Kanna, a civil engineer, was a pioneer in the Assyro-Chaldean resistence movement against the dictatorial regime of Saddam Hussein. He was condemned to death several times, but did not abandon the fight. He was the only Christian representative in the Iraqi interim government, among the 25 member group. In addition to being the Secretary General of the Assyrian Democratic Movement, the principal political party of the Iraqi Christians, he also head the National Commission for the Reconstruction. Friday, October 14, 2005, 4:00 p.m. to 6:00 p.m.
Saturday, October 15, 2005, 1:00 p.m. to 3:00 p.m.
Sunday, October 16, 2005 at 12:00 p.m.
Sunday, October 16, 2005 at 3:00 p.m.
Diamanda Galas' show, which has been touring in various forms for some years now, is a lamentation for the victims of the Armenian, Assyrian and Anatolian Greek genocides of the early years of last century. 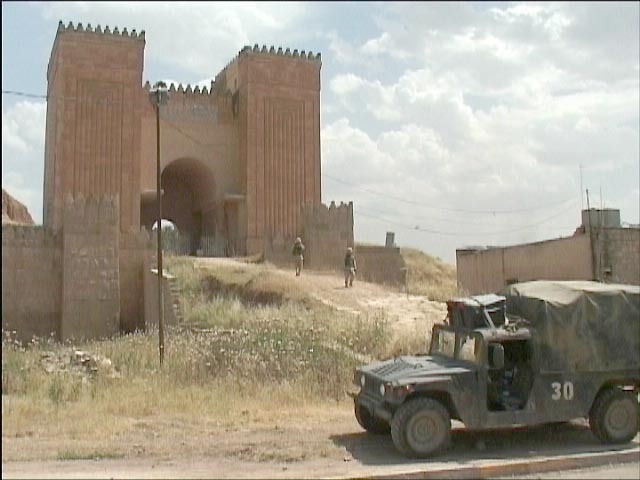 U.S. military at the gates of Nineveh. From 'The Last Assyrians' by Robert Alaux. The Film "The Last Assyrians " will be broadcast on Monday 17 october 2005 at 8:50 p.m. on the French TV Channel "HISTOIRE". It can also be received throughout Europe and the Middle East via satellite. 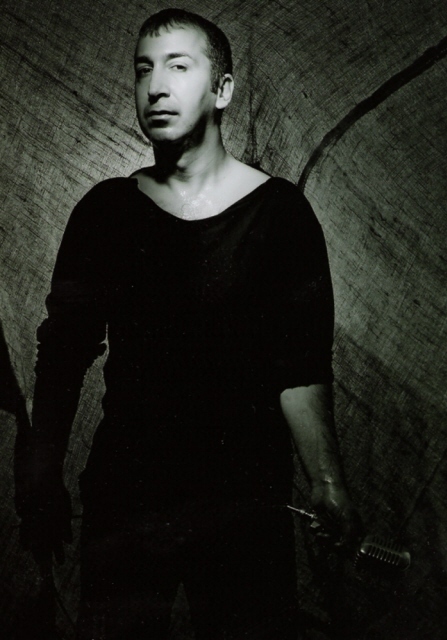 The Last Assyrians was directed by Robert Alaux. 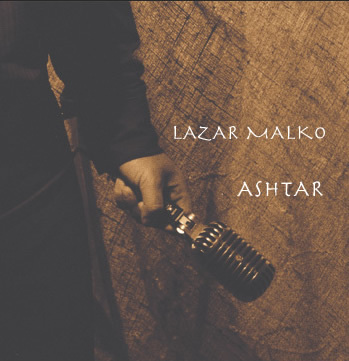 This film is the result of 6 years of research, travels and shootings in Iraq (before and after March 2003), South East Turkey, Syria, USA, Europe. To purchase a DVD copy click here. Gorgias Press would like to announce its annual Gorgias Book Grant, which will be awarded in the upcoming year to two outstanding graduate students, with concentrations in any of our publication categories. You can learn more about the areas of study we publish in, at our website www.gorgiaspress.com, as well as more about our book grants by clicking on the Book Grant link. In our efforts to promote education, the grant is presented in the form of Gorgias Press publications and will consist of books amounting to the total value of $500.00 per grant. The following information provides eligibility and application details. Thank you for your participation and good luck! Candidate must be enrolled in a graduate program (Master or Ph.D.) in an accredited university or an institution of learning in the field of the grant. Candidate must have the equivalence of a GPA of 3.0 or higher. A letter indicating your interests in your area of concentration, and your plans for the future. A two-page description of your thesis or a one-page description of your course work in the case of course-based programs. Official transcripts of the previous two years of university education. Two letters of recommendation from faculty who are familiar with your work (one must be your current supervisor in your field). Prof. Khosroyeva is a specialist in the Assyrian genocide studies and has published a book on this topic. The following is the complete text of Prof. Khosroyeva's speech at the Assyrian National Convention, held in September 2005 in Boston. During the World War I along with the Armenians the Assyrians, one of the most ancient nations of the Middle East, also underwent the cruel massacres under the influence and direction of the Young Turks’ government. In the Ottoman Turkey and the adjacent territories, where more than one million Assyrians lived, a real genocide was implemented according to the criteria of international law. But the tragedy of Assyrians did not come to the end with this. Both during the World War I and after it the Assyrian nation bled both from the Europe’s incitements and from the slaughters and oppressions organized by Turkish, Kurdish, Iranian and Arabian tyrants. The end of World War I and the fall of the Ottoman Empire gave a birth to hopes of gaining autonomy among the Assyrians. Doomed to unbearable conditions because of the policy implemented by Turkish government, they had to pin certain hopes on Russian and British authorities, which made lavish promises that in return for their military support, after the triumphal end of the war the countries of Triple Entente will enable the Assyrians to establish an independent state. Lulling them with these promises both the Russians and the British resolved a number of their strategic and political problems of primary importance at the cost of the Assyrians’ blood both in Turkey and in Iran, and eventually did not fulfill their promises. Part of the Assyrian refuges, who escaped Turkish yataghan as early as in 1918, reached an Iraqi town Baqubah, and the other part that together with the Armenians made up about 50-60 thousand people, reached Baghdad. Here they were lodged in camps constructed by the British army, were they lived in tents. Although the refugees had enough food, but the conditions of life were unbearable. One of the eyewitnesses testified that “in the beginning the number of dying people in average reached 70-80 people a day. Corpses of the Armenians and Assyrians were taken from hospital straight to the cemetery. And as here the number of Assyrian refuges was greater than that of Armenians’, the number of the dead among them was also greater”. After the Moudros Treaty the Ottoman Turkey started to move its troops out of the Iranian Azerbaijan. Pinning their hopes on England the Assyrians intended to return to their former territories. But the English consul Smith, speaking at the meeting of the Assyrian leaders in Hamadan, announced that “England is ready to substitute new English arms for the old Russian ones" and added that “Iranian rulers do not want the Assyrians to return, especially armed. As for now, - he continued, - Iranian government is well disposed toward Great Britain, and it is desirable that we have an Assyrian representative in the British embassy in Tehran. Only then would it be possible to settle the issues arisen between the Assyrians and Iranian government”. During the meeting it was decided to do the way the “allies” were suggesting. The Assyrian command ordered to gather the arms and for this purpose a special committee was formed. Shortly thereafter an English detachment appeared, took the gathered arms, seated part of the Assyrian refuges in cars and headed to the west. The other part of the Assyrians hid in the mountains. As it turned out later, those cars full of Assyrians reached Mesopotamia. In such a way the Assyrian escaping Turkish slaughters appeared under the rule of their allies: the British. Thus this deceived, desolate and outcast people, emaciated and bleeding from Turkish and Kurdish attacks, pinned their last hope on the Parisian Peace Conference. In 1919 several Assyrian delegations took place in that conference. Among members of those delegations were the Assyrian clerical leader Mar-Shimoun and the patriarch of Chaldean Assyrians Joseph Emmanuel Thomas, who brought their separate programs. It is worth to mention that the plans of Assyrian delegations were almost similar. It was decided that the most authoritative among the delegations: the one under the leadership of attorneys Said Antoine Namek, Rustem Nejib, and doctor Jan Zebuni, which had come from Constantinople would speak publicly. They proposed first to form an autonomous and then an independent state. According to that plan the autonomous Assyrian state would consist of the vilayets Diarbekir and Mosul, Urfa, Der-Zor, Sgherd sanjak of Bitlis vilayet, the Alexandret Port and the territory of the river Shad El Arab in the Persian Gulf. However, a bitter disappointment awaited the Assyrians here, as an Assyrian question as such did not exist for the Great Powers. In Paris, doctor Jonan, a prominent Assyrian figure, met with the mighty of this world: George Clemenceau, Lloyd George, Woodrow Wilson’s nearest adviser colonel House and others. But Jonan was given to understand that he had nothing to do in Paris, because allegedly the Assyrian question was to be solved in London. At Sevres Conference in 1920 the Assyrian question was also taken up. In the 62nd article of the Treaty of Sevres it was stipulated that it was necessary to consider “the guarantees of perfect protection of the Assyrian-Chaldeans” in either of the two countries: Turkey and Iraq. But the Kemalists refused flatly to recognize the Treaty of Sevres. Instead of their dreams the Treaty of Sevres gave the Assyrians only a “guarantee of protection”, and only in case autonomous Kurdistan is formed in future. Under the Treaty of Sevres vilayet of Mosul passed to England. Its worth to mention that Mosul vilayet was a region rich of oil and of a significant strategic importance. Because of its fertile land and favorable climate Mosul was one of the important economic centers of the Middle East. And this was where the Assyrians were needed as a labor and military force. But they would not go to Mesopotamia voluntarily, and the British could not force them. One cannot but take into consideration the fact that at the end of the war the Assyrians had an armed army consisting of 7 thousand people. And this was the main reason for the British to organize Mar-Shimouns assassination and to send Malik Jonan to the British consulate in Tehran as an Assyrian representative. These actions of the British were followed by the arrest of the legendary Assyrian military leader Agha Petros. Finally at British’s self-will behest the Assyrians were condemned to living in hostile Iraqi environment inhabited with Kurdish and Arabic population. Under the threat of starvation the British organized the Assyrians in armed detachments, which were to fight against the anti-English movements and contribute to the solution of Mosul question. At the end of the summer 1920, when the Assyrian refugees were busy with their everyday activities, the Arabs were going to attack the local Englishmen and Assyrians “under their patronage”. After the Arabs encircled the camp, an English colonel K. Owen, the person in charge of the Assyrian issues, gathered the camp leaders and announced, “We are rounded up by Arabs. But the British alone are not able to protect you. We need your help”. The Assyrian refugees, of course, helped them to strike back at the Arabs, many of which were killed by the Assyrian soldiers. On September 13, a report regarding the Assyrian refugees was presented to the British government: “In August the camp of the Assyrian refugees was burnt down. 30 thousand out of the 40 thousand Assyrians of Baghdad and Baqubah left for vilayet of Mosul, intending to go to their “own land” from there. This of course did not match with the British’s interests: they wanted to have the Assyrians close by - in Iraq. Nevertheless, it seems that a small group of Assyrians really moved to that region because according to data of the census carried out in Turkey in 1927, some 7 thousand Assyrians lived in Hakari region. From February 21 to March 14, 1921, the London Conference was held, where the Treaty of Sevres was reconsidered at the suggestion of France and Italy. On the bank of Thames the representative of the Assyrian delegation doctor Jonan faced the disregarding and rude treatment of the Foreign Office. Although the League of Nations, meeting the supplications of the Assyrians, who were on the verge of despair, included the Assyrian question in the agenda of the Lausanne Conference held in 1922-1923, during the conference the question failed. The British need the Assyrians in Iraq to counterbalance the Kurds and Arabs, and French did not worry about the Assyrian question at all, moreover it could have undesirable effects on the situation in Syria. The Turks, on the other hand, quickly understood that the Entente countries raised the Assyrian question only for tactical purposes and the answer of their representative Ismet Inenu was a definite “no”. Just at the time the conference was held Turkish authorities exiled 20 thousand Assyrians from Turkey to the boundaries of Iraq, the so-called Brussels Line. No steps were undertaken by the League of Nations to resolve the Assyrian question or to provide any help to this nation. After the conclusion of the Treaty of Lausanne the Assyrians faced the threat of losing their national and cultural values. They could not engage in their religious and cultural activities in their language or develop their traditions. Turkish schools were opened in the Assyrian villages. Special inspectors were sent to the villages. Besides a work was underway aimed at the total abolishment of Assyrian communities. On October 29, 1923 Turkey was proclaimed a republic headed by the president M. Kemal. In this period (1919-1923) by M. Kemal’s permission thousands of Assyrians were killed just for being Christians. The policy of the newly established state was based on the political and military ideas of Young Turks. In order to implement the ethnic clean-up reforms were carried out in educational and cultural spheres. For example, according to the decision made on November 3, 1928, use of any alphabet other than Turkish was prohibited on the territory of Turkey; it was decided to create a single united culture based on the cultures of the other nations. The places with names of non-Turkish origin were renamed; people of other nationalities were forced to change their family names. Thus, conducting a policy of assimilation of Christians and not even recognizing the existence of other nations in Turkey, Kemalists maintained the homogeneity of the country population by fire and sword. Any obstacle on their way had to be eliminated. On December 26, 1925, the League of Nations gave Hakkari to Turkey and Mosul - to Iraq, putting an end to the hopes about the Assyrian autonomy. Thus, under economical and other pressures, the Assyrians were forced to leave the land of their forefathers. They became aliens in their own historical homeland and neighboring countries where they used to live for centuries. 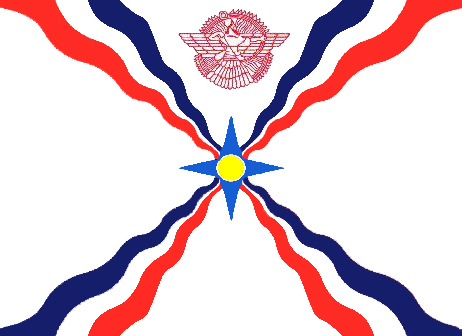 The notorious decree issued on December 16, 1925, forced the Assyrians to live in Iraq under British patronage. The life was unbearable there. The Assyrians demanded guarantees of return. But the English were not going to lose the Assyrian soldiers and workers. In order to please them the British spread a rumor in Mosul vilayet about foundation of an “Assyrian Kingdom”. This way they tried to stop the French claims regarding Mosul vilayet and to keep the Assyrians in their camp. A struggle broke out around the Mosul oil, which lasted a little more than eight years and resulted in the victory of the British. The Assyrian question also played an undoubtedly important role in that victory. It is also important that thanks to the efforts of warlike Assyrians, who resolutely defended Iraq borders, Turks did not succeed in occupying Northern Iraq. But the whole problem is that the Assyrians themselves gained nothing from all that. In 1932, after the period of “British patronage” ended, 70 thousand Assyrians made a request of receiving land lots in the places of their residence. But Baghdad reacted with hostility to the natural and modest request of the so-called “ungrateful Assyrians” and intensified its oppressions. And the English, not needing the Assyrians’ services any more, abandoned them, leaving this nation to the mercy of fate. Moreover, turning their back on their former allies, the British left them to regressive Iraq that did not fail to get even with the Assyrians organizing their massacres. On July 18, 1933, Mar-Shimoun became an undesirable person in Iraq and had to leave for Cyprus. Here he raised his complaint against the British disregard. In response to that, the British again began to drive a wedge among the Assyrians, Kurds and Arabs, trying to resolve the Assyrian question totally exterminating the latters. According to R. Stafford, the former administrative inspector of the Ministry of Foreign Affairs in Iraq, “The Assyrian question itself is a political one”. And the British tried to resolve this political problem oppressing this people by all means. In late August 1933, when 1000 Assyrians were trying to move their families to Syria, zone of the French patronage, the Iraqi authorities used armed force against them on the bank of the river Tigris. The Assyrians took retaliatory steps and successfully moved to Syria. The Iraqi army took revenge for this defeat on the peaceful population of the Assyrian villages. Only in one Assyrian village, Semmel, three thousand people were killed. A lot of corpses of children burnt alive were found in Semmel’s church. It is important to mention that the Iraqi government nowise impeded this massacres. Moreover, the organizer of the massacres was advanced to the rank of general. The Iraqi archives testifying about those events were closed after the king Faysal I’s death. There is no doubt that the Assyrian massacres of Iraq in 1933 were organized by the British. As regards this, R. Stafford wrote, “There is no doubt that the events of 1933 stained British reputation in Iraq as well as in the East in general. Rightly or not, but the Iraqi population thinks that we betrayed our allies: the Assyrians”. The tragic events of 1933 caused the Assyrians to spread all over the world: first to the neighboring countries, then to Europe, America and Australia. Unfortunately, the Assyrians in their turn did not learn lessons from history and forgetting the bitter experience of the past, in April-May 1941, entered an armed conflict in favor of Britain. The English base Royal Air Force located in Iraq escaped destruction with the help of some 1500 Assyrians. It is remarkable that the defeat of Iraq was important in turning the balance of the war against Germany in the Middle East. On May 7, 1945, the Assyrian clerical leader Mar-Shimoun spoke at United Nation General Assembly, trying to get the support of Great Powers regarding the problem of defending the claims of his people, but again in vain. Today the Assyrian nation spread all over the world needs a respect of human rights. They want to have an autonomous state and continue their fair and centuries-long struggle. The Assyrian question needs an international solution. This problem has so far been out of the limelight of the world community. However it needs serious scientific investigations and extensive political discussions in official circles of different countries in defense of the Assyrian nation and in order to restore the historical justice. Vardanyan Y., Anapate Anapat [From Desert to Desert], Venice, 1923, p. 53 (arm.). The same place, p. 111-112. Mar-Yuhanna I. I., Memuari [Memoirs], Tiflis, 1966, p.105 (rus.). Matveev K. P. (Bar-Mattay), Mar-Yuhanna I. I., Assiriski Vopros vo Vremya i Posle Pervoy Mirovoy Voyni [The Assyrian Question During and After World War I], Moscow, 1968, p. 80 (rus.). A unique project is underway in France by an extraordinary person. Mr. Oliivier Lauffenburger, a student of ancient history and the oriental languages, has set up websites dedicated to the Hittite language - and more dear to an Assyrian heart - the Akkadian languages. Mr. Lauffenburger was extremely surprized and happy to find out that Assyrians are still around and has recently become acquainted with a few activists in France. With the support of his Assyrian friends, Mr. Lauffenburger is now working on producing a comprehensive online Akkadian Dictionary with which any words in French or English can be entered and the Akkadian counterpart be discovered (or vice versa). The Akkadian script is written in cuneiform letters along with its closest prononciation in the Latin script. The project began in September 2005, but it has already had great successes. Soon, other languages such as Russian and German will be added to this dictionary also. Several sources are considered for this project, among them Delitsch's "Assyrian Dictionnary", Gesenius' s and Jastrow' s dictionnaries of the Babylonian and Jewish texts and many others that are available. Zinda Magazine was given a special tour of the dictionary and allowed to test the system with some of the words entered already. A word such as 'father' or 'king' was entered and the Akkadian equivalent of 'abu' and 'sar' appeared instantly. A great deal of work remains to be done to make the dictionnary more user-friendly. The project can be an important link between the Akkadian or the ancient Assyro-Babylonian language prior to the adoption of Aramaic and today's neo-Aramaic languages spoken in the eastern and western dialects. If interested to learn more about this project or volunteer to help please contact Mr. Jean-Paul Sliva at (J-Paul.Sliva@ac-toulouse.fr). Zinda Magazine will occasionally report on the progress of this important project.